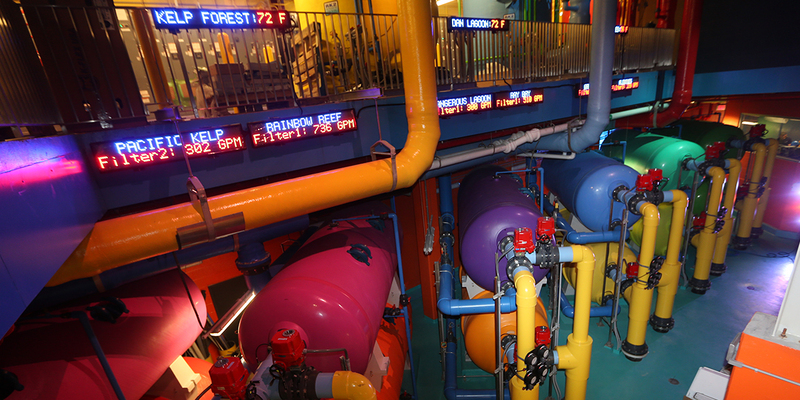 Explore the magic behind your aquatic experience in the Life Support Systems (LSS) gallery. By bringing a significant amount of pumping and filtration equipment out into the public areas, the Aquarium offers visitors a unique opportunity to see how its complex environment is maintained. The Aquarium has over 5 million litres of Toronto municipal water and runs it through carbon filters to remove any impurities. After this process is complete, the water is either circulated through the building for the Aquarium’s freshwater systems or moved to a holding basin where salt and minerals are mixed in to create our salt water. Once mixed, the water must pass through water chemistry testing before it can be moved to any exhibits. Ripley’s Aquarium of Canada sits on the shores of Lake Ontario, one of the largest lakes in the world. We understand the significance of preserving our water which is why we recycle 95% of the water used throughout the building. It is treated for reuse and returned within the exhibits. The 5% loss is due to evaporation and human use in the washrooms and kitchens! 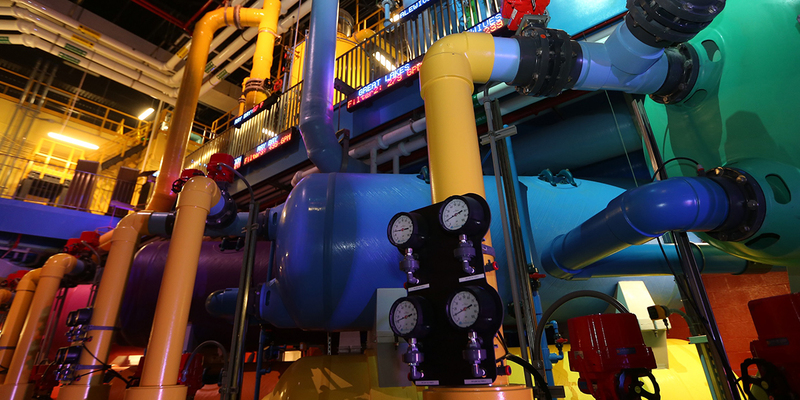 • We have 10 pumps that deliver water to all of our larger exhibits. In total, they pump over 68,000 litres of water per minute. This is approximately 98 million litres of water every day! • Our foam fractionators use ozone gas to kill all of the microscopic bacteria. The clean water is then recycled out the bottom of the fractionator! • We have about 5.2 million litres of water onsite – that’s about 25,000 bathtubs! Ripley’s Aquarium of Canada is designated as a Certified Autism Center by the International Board of Credentialing and Continuing Education Standards (IBCCES).